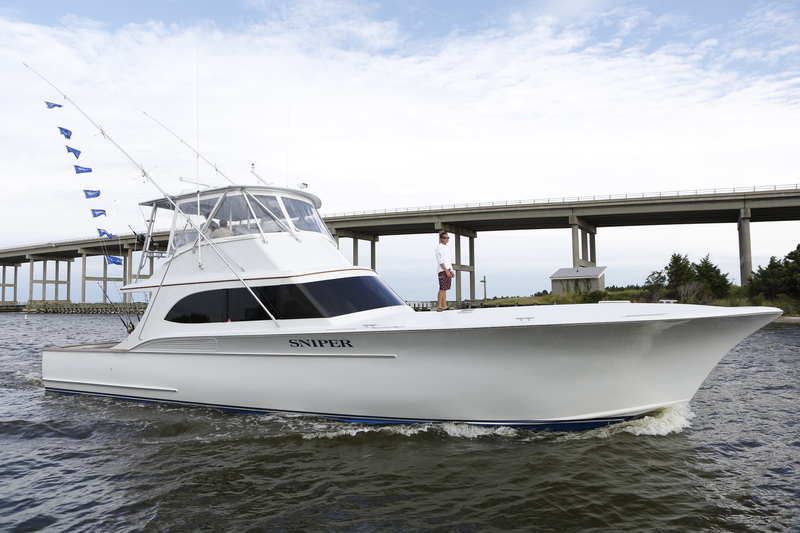 SNIPER WINS the 30th Annual Pirate’s Cove Billfish Tournament, August 12-16, 2013! The 58-foot Paul Mann custom sportfish and her crew had a whopping total of 18 billfish releases in this world-class big game tournament. Huge congratulations to SNIPER Captain and boat owner Jimmy Bayne as well as the other SNIPER anglers for their outstanding top boat finish! Capt. Jimmy along with Mates, Chris Raiford and Alex Strangeways, Anglers Mike Sandusky, Bobby Whelan, Wayne Enroughty, Bobby Whelan and Dan Stefano wrapped up with a total of 17 white marlin releases and one blue marlin release for a total of 1400 points over the four days. 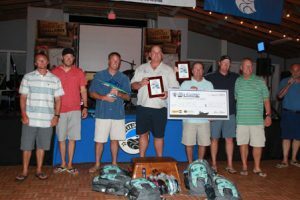 Congratulations to Dan Stefano for winning Top Male Angler with 560 points, and the SNIPER team also won prize money for “most points for the day” on Tuesday and Thursday. Seas were rough and the northeast wind blew all week, but 46 boats completed the tournament with a total of 310 billfish. This is the third tournament win in a row for SNIPER!